MagLev technology with PV (Solar) panels gives the best of both worlds for greater independence from costly grid electricity bills. From apartments to street lighting, hybrid systems are starting to bring consistant power to areas world wide. If Japanese and Chinese and American countries are using it why cant we??? Why we are behind them ??? What is a MagLev VAWT? MagLev turbines are an ideal solution to the traditional wind turbine, which need very high structures to allow room for their massive blades. MagLev technology (so called due to the ‘magnetic levitation’ friction free drive) has been around for a while as we know from the Magnetic Levitation high speed trains. 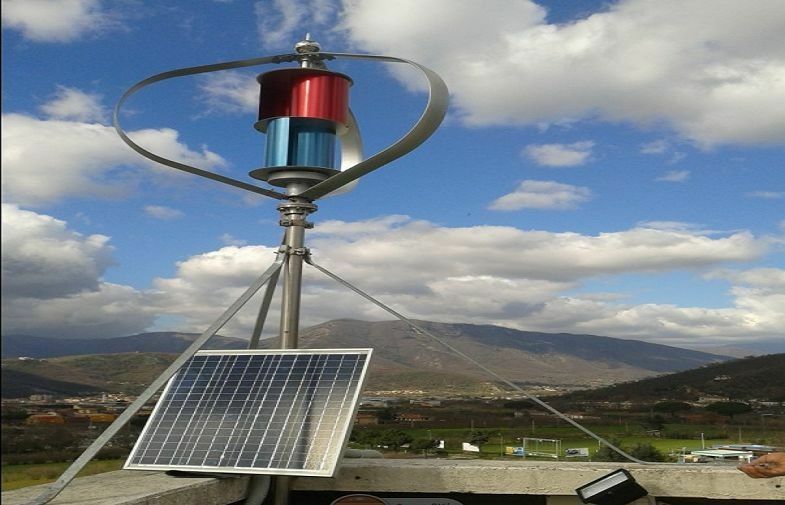 Using MagLev technology in VAWT’s (Vertical Axis Wind Turbine) means less moving parts, less maintenance, smaller profile and most importantly, very little wind to start working due to the lack of friction. The smaller more compact design of the VAWT, makes it ideal for home use as the unit and blades stand upright. Having magnetic levitation means the turbines weight is frictionless in operation allowing even a small breeze to turn it and produce power. The MagLev VAWT has a much smaller footprint. Its also quite in comparison to normal turbines, doesn’t create turbulence and safer as no massive ‘windmill’ blades rotating. The Excluss MagLev uses latest NdFeB (Neodymium) rare earth magnets which are 10x stronger than others, eliminating the need for any electro magnetic drive, making them friction and virtually maintenance free. energy when the sun goes down or if the wind stops blowing. Due to air/ground temperature difference, when the sun goes in ground wind instantly increases. So the Excluss hybrid system produces power day and NIGHT! region you would expect to have electricity 24/7 without interruption. I would like to know the cost of this project along with report.